This happened way back in January, but the sheer amount of photos I took put me off from writing about it. I am feeling invigorated, so let's go through the rundown of my trip to Norfolk to visit my some of my bestest friends Emily, Andy, Lauren and their dog Jasper. 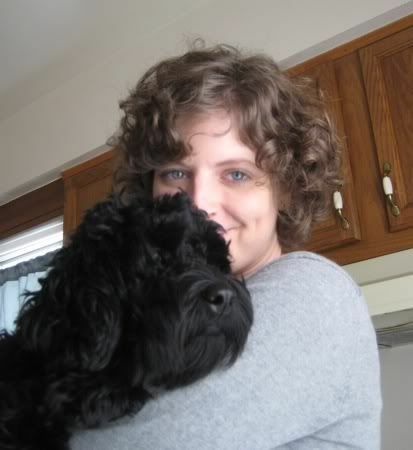 I'll put a cute puppy photo first to up page views. 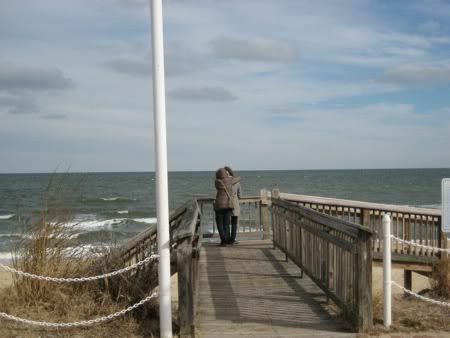 Emily and Andy live right near the water, but alas, it was too freezing that weekend to walk on the beach. Note to self - cape does not cut it in any winter weather, even in the south. 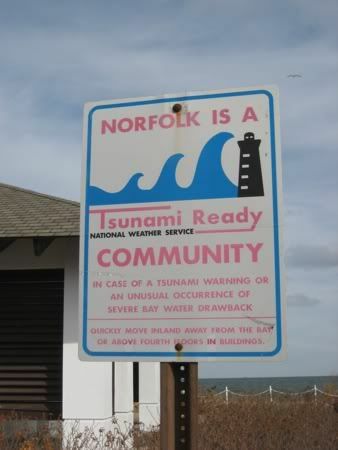 Digging this Mod tsunami warning sign, Norfolk! 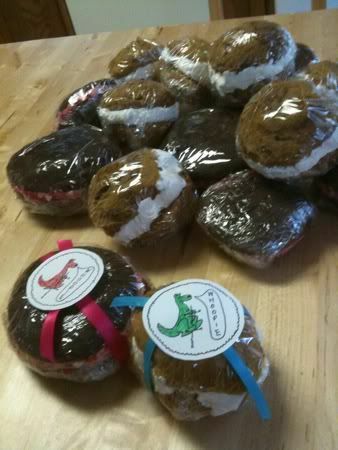 Part of the weekend was devoted to making prototype whoopie pies for Lauren's fledgling business. I don't have to tell you that they were delicious. We even made logos and packaging mock-ups. Jasper stole one off the table, but he was nice enough to bring it back untouched. 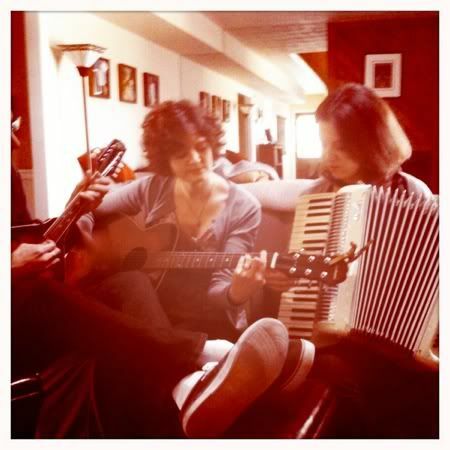 We also jammed out a little (well, I played a maraca shaped like an orange). 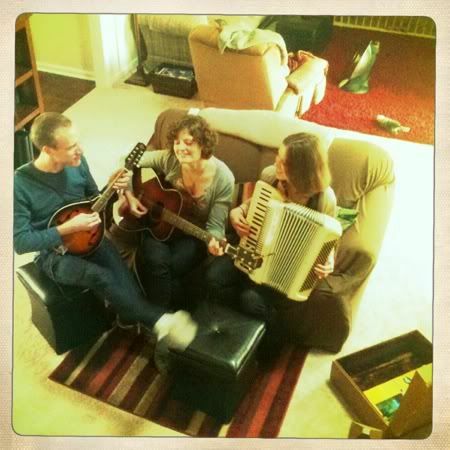 Here is Emily on guitar, Andy on mandolin and Lauren on accordion, working under the name "Family Band." 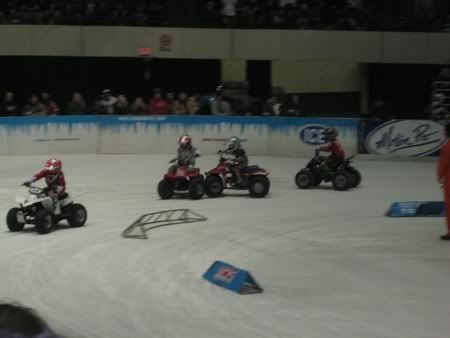 The big event of the weekend was checking out something at the Hampton Coliseum called Motorcycles on Ice. Who knew? 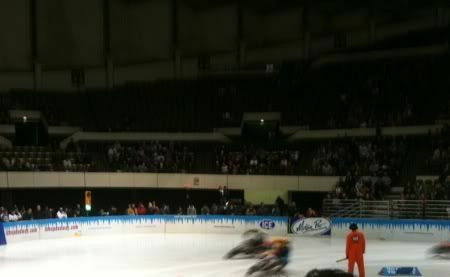 The motorcycles had no brakes, just spikes on their tires to race around a small ice rink. We settled in to our seats (I was the only one in the arena wearing a cape, I noted), and the smell of exhaust wafted from backstage. The very first race, one minute in, a motorcycle driver immediately crashed into the wall and lay crumpled under the bike, not moving. "Paramedics to the ice," the announcer intoned. Not a good introduction to motorcycles on ice. I was beginning to feel like a Roman at the original coliseum. Luckily, he was OK.
And the show continued. And boy, did it continue. I think I saw every vehicle short of a car race on ice. ATVs, golf carts, even Vespas. I'm good on the ice motorsport front for awhile. Here's the children's division. Yes, really. But then something peculiar happened. There was a female racer with a bright pink ATV riding in some of the races. I didn't notice her at first, but then I realized she wasn't just beating the men, she was schooling them. Crowd favorite for sure. She made it to the finals and in an out of body moment, I realized that I had risen to my feet and was cheering, screaming at the top of my lungs almost involuntarily, for her to win it all. Against all odds, I had gotten into ice ATV racing. 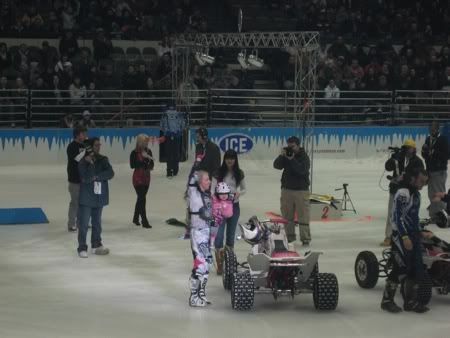 Here is "First Lady of ICE" Mandy Brodil with her daughter at the award ceremony. Posted in Travels, Music, Friends & Family and tagged with Virginia, Norfolk. March 9, 2011 by Adele Chapin.